Could these bizarre products become the next consumer craze? With consumer trends becoming more and more outrageous, we’ve seen the rise of unicorn food, turmeric lattes and charcoal everything. But could these latest food crazes become the next desired items disappearing from supermarket shelves and restaurant menus? 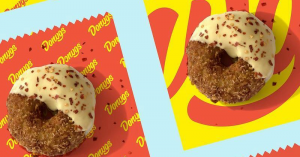 A deep-fried chicken nugget in the shape of a doughnut. This savoury treat is minced chicken rolled in a panko and corn-flake crust and deep fried until golden. The Donug is then served with 3 savoury sauces, cheesy Dijon béchamel, hot chilli or Japanese curry & mozzarella. The Donug was created in Melbourne, Australia where the Donug can be bought, but its creator has recently secured a large investment from the Australian version of Dragon’s Den. So with potential to spread its wings outside Australia’s shores, could this highly instagrammable delicacy be the next big thing? Avocado & Lime? 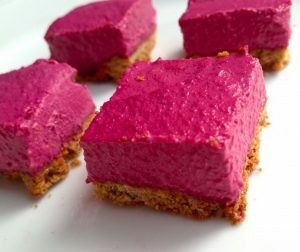 Beetroot & Raspberry? Could vegetable cheesecakes replace the favourite New York Style? These puddings that are not only bold and colourful, but also contain less sugar could be a stroke of genius. With the substantial focus on health and well-being, these veggie cheesecakes could potentially be the answer to the sweet craving without the guilt. But will a vegetable dessert (that’s not our beloved carrot cake) replace the classic sweet treats? With the increasing potential for insect based snacks, could the next step be insect milk? Supposedly cockroaches secrete crystals to feed baby roaches, which can be used to make milk. 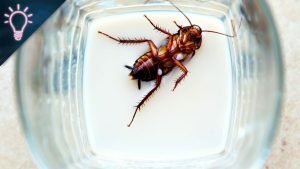 Surprisingly, cockroach milk has a higher nutritional value than cows, with four times the energy of cow’s milk and a good protein, sugar, fat and amino acid content to boot. And what do you make with milk…. ice cream! Because insect laden milk is simply not enough, insect ice cream is clearly the next step. But why stop there? Scientists in India are developing a yeast that can produce a form of these insect crystals, which could then be used to make bread and brew beer. So could your soya latte soon be replaced with a cockroccino? Only time will tell, but it’s safe to say we won’t be adding cockroach milk to our product list anytime soon. We’ve heard of seaweed thins and salmon skin crisps, but could something traditionally associated with being poisonous now become a healthy snack? Researchers from a University in Denmark have discovered that soaking jellyfish in alcohol causes their water content to evaporate, turning them into a crispy treat. The crisps are a lot healthier than your typical Walkers or McCoys, with less than 1/8 the fat content than your average pack of ready salted. 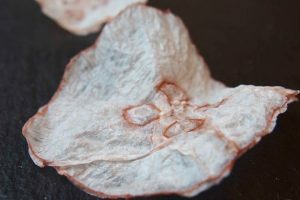 With the population of jelly fish booming due to the onset of global warming, the rise of the jelly fish crisps could be killing two birds with one stone. Jellyfish are supposedly one of the most sustainable creatures in the sea. So, could these aquatic crisps be the healthy and environmentally friendly snack we are all looking for?